I’m sure you know by now that we watch the daily lineup with great interest and much fascination. Now that Gracie Snow White has started joining the lineup, she’s changing things up a bit. Gracie: Yes, dahlings. It’s a girl’s prerogative to rearrange boys. 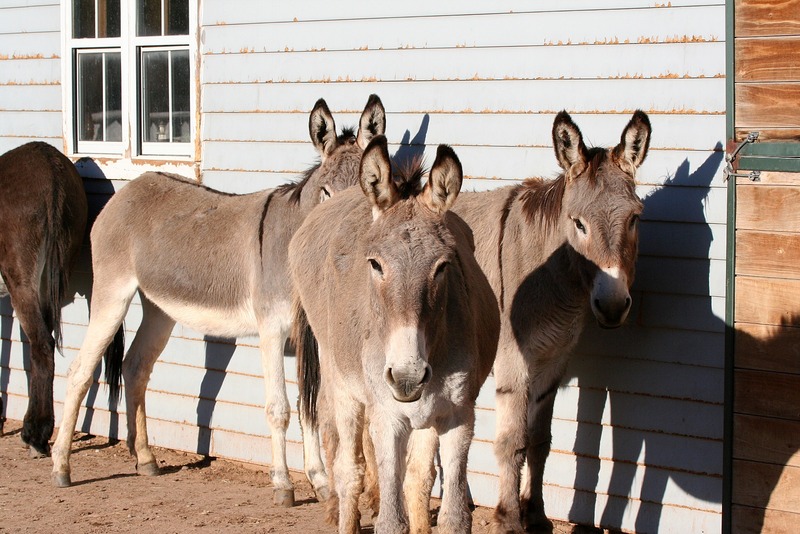 Gracie: All grey donkeys to the south, facing south, please. 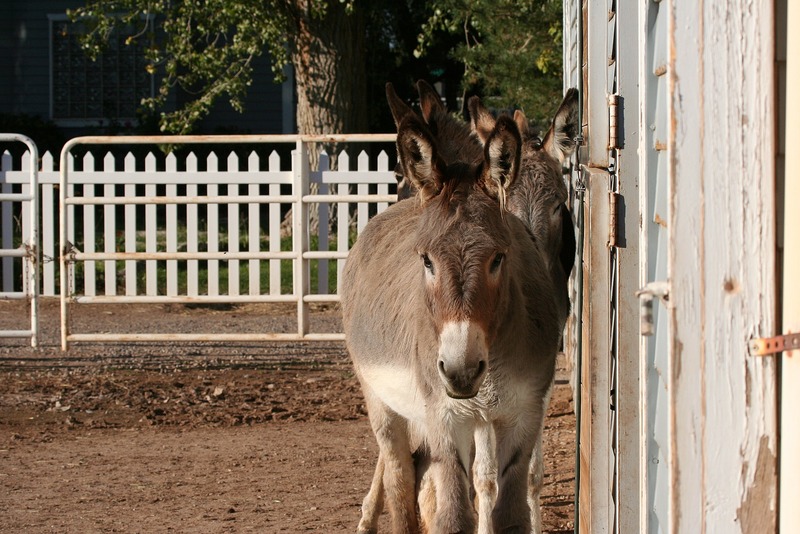 Gracie: All non-grey donkeys to the north, facing north. Thank you, Boyz. Patrick: Honest, mama, we’re just doing what she told us to. 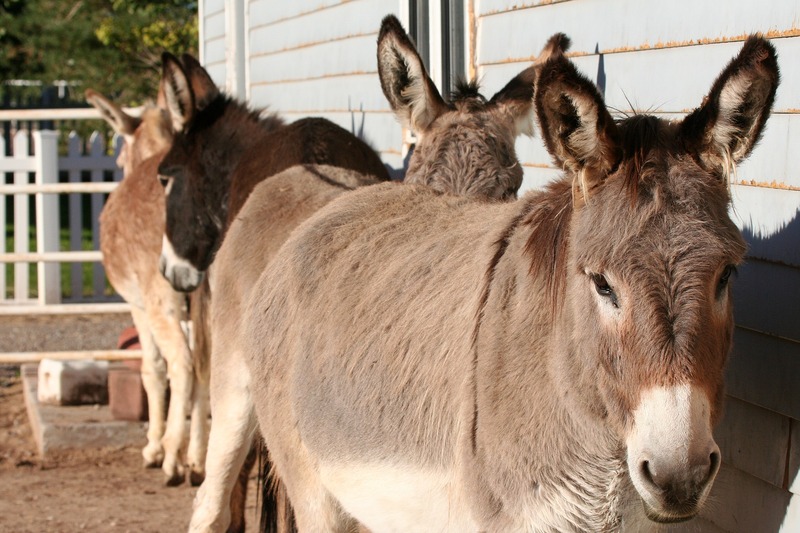 Guess you need one more (non gray) donkey to even up the playing field. How about a nice big riding one for Don so you two can ride off into the sunset together? Hmmm? Sounds pretty good, no? Just plain weird. There are so many times when you wonder what really goes on inside their heads. From Day One, Gracie has been a girl who knows her own mind. What Gracie wants, Gracie gets. I remember her climbing through the fence when she arrived, snapping her hoof (no fingers, ya know), and letting the boys know she had arrived. Loved her right then and there:-) She is a fabulous addition to your herd. She’s in no hurry, but I predict that she will be at the head of the southbound line up, in proper formation. A girl can’t be in a hurry you know- not lady like. So funny, your sunbathing beauties. Girls are always in charge in the equine world. They are much smarter than humans. 🙂 I love seeing your sun-bathing beauties! And, wow… I hardly recognized Patrick in these pictures…he has lost so much of his fuzziness!! He’s a beauty!! I can hear her voice bossin dem boyz around ala Mae West…..
Gracie, I love you. Girlz RULE!! 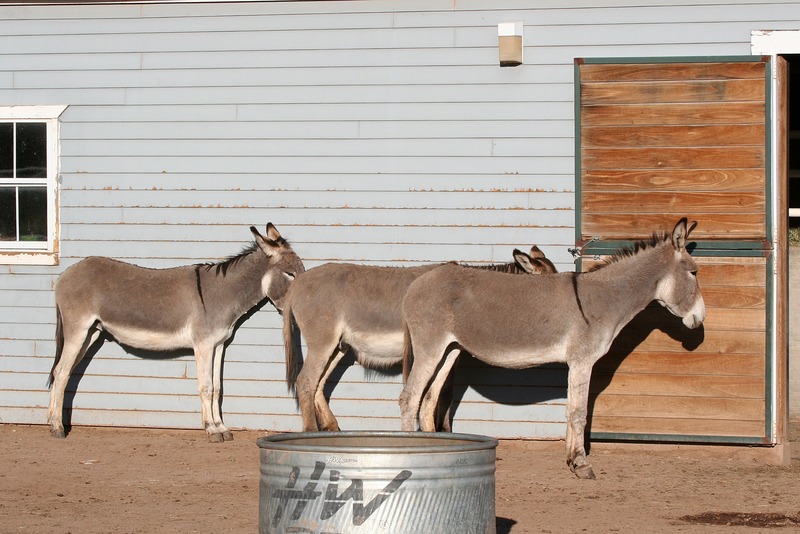 the line up is so funny to me; it is like one of those unexplainable phenomena like crop circles or those stones that slide across the desert (can’t remember what desert that is)…..
It´s a mystery to me, what is going on in the donkey-heads. Very funny to see the line up rearranged.